There are two bands with the name Screaming Trees: 1. Screaming Trees were a grunge band formed in Ellensburg, Washington in 1985. Their sound was a mix of 60's psychedelia and punk rock, and even though they were critically acclaimed by many, they never achieved the superstardom of their peers. Following the Dust tour, Screaming Trees took another hiatus. After a June 25th 2000 concert to celebrate the opening Seattle's Experience Music Project, the group unsurprisingly announced their official breakup. 1. 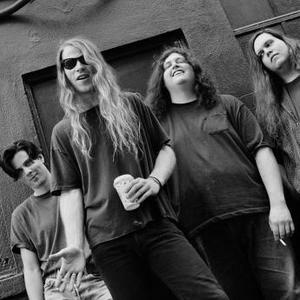 Screaming Trees were a grunge band formed in Ellensburg, Washington in 1985. Their sound was a mix of 60's psychedelia and punk rock, and even though they were critically acclaimed by many, they never achieved the superstardom of their peers. Following the Dust tour, Screaming Trees took another hiatus. After a June 25th 2000 concert to celebrate the opening Seattle's Experience Music Project, the group unsurprisingly announced their official breakup. The founding members were brothers Gary Lee Conner (guitars) and Van Conner (bass), vocalist Mark Lanegan, and drummer Mark Pickerel. They released several albums on the SST label, and then moved on to the Epic label later, after which Pickerel was replaced with Barrett Martin. After the band disbanded, most band members have moved on to other projects. Mark Lanegan did so most notably. On August 2, 2011, Final Words: The Final Recordings was released digitally.